Do You Have Jaw Pain Near Burnet? We Can Help With Neuromuscular Dentistry. 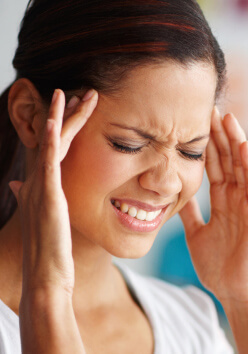 For our Burnet patients with jaw pain or migraine headaches related to TMJ dysfunction (TMD), finding a solution is paramount. No one wants to live every day with jaw pain, facial pain, neck aches, or a migraine. Did you know that these conditions can all be caused by problems with your TMJ, the small joints that allow your jaw to hinge? If you're experiencing jaw pain, Ritchie Dental Group offers a different kind of solution at our Marble Falls or Brady dental office with neuromuscular dentistry. Neuromuscular dentistry uses a variety of techniques to help the jaw find the right position for optimal comfort and function. Much of the jaw pain and migraine pain associated with TMD comes from even slight misalignments of the jaw joint. With neuromuscular dentistry, which focuses on the relationship of the nerves and muscles throughout the body, we can correct these misalignments and train your jaw to maintain optimal position. When your jaw is positioned improperly, the whole neuromuscular system is thrown off balance sometimes resulting in jaw pain or migraine. Let our neuromuscular dentist in Marble Falls and Brady, TX help bring your system into harmony to eliminate pain. Contact Ritchie Dental Group for an emergency dentistry appointment. We bring this and other cutting edge dental treatments to Marble Falls, Burnet, Horseshoe Bay and surrounding communities. Patients also come to us from Austin and Llano for both our advanced and comfortable dental office. Make an appointment with us today!